We just wanted to take a moment and say Thank you to everyone that has supported our farm these past years! Some with monetary purchases, some with gifts, some with help and lots of prayer warriors! 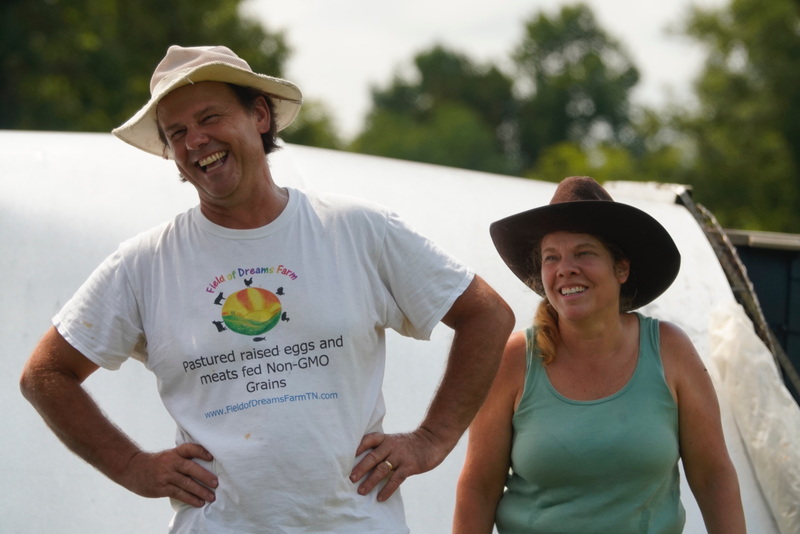 Without good friends and a supportive community this type of farming would not be possible. We are so blessed to have such a supportive community. We would love to name those responsible for our success but the list is long and everyone contributes in their very own way! And you know who you are and you have no idea how much we appreciate you all!! Thanks again and we are looking forward to another great year in 2019!! It’s Back!!! Ready to eat Deli Ham! Guess what I just finished slicing?? Yep, our famous thinly sliced Deli Ham! This stuff is addictive, cured for 2 weeks and then smoked with hickory wood right from the farm’s trees. We have a limited quantity, so we ask that you only order a maximum of 5 packs. But no fear, we will have more in 2 weeks as I have another batch curing. We are excited to announce that Field of Dreams Farm will be featured on the cooking show “Scraps”!! A couple of months ago the cast and crew of “Scraps” came and filmed an entire segment here at the farm and Suellen and I will be on national Television!! This is the 2nd season of Scraps which you can watch on the FYI channel and Season 2 will also be on A&E. Season 2 begins tomorrow on FYI at 9pm CST and on A&E October 13th at 8am…..
Our segment will air on November 29th on FYI at 9pm CST and on A&E December 1st at 8am CST! Be sure to watch this exciting new show! I know….I know….no one’s thinking about Thanksgiving right now…except those of us that raise wonderful pastured turkeys! As you can see they are growing fast and these little feather balls will be ready by Thanksgiving….so if you haven’t secured your thanksgiving turkey yet now is the time! And yes we are doing fresh again this year, they will be available for pickup on the Monday and Tuesday before Thanksgiving! Click on the Order now / Shop now button and order yours soon! Please notate whether you would like fresh or frozen; and which day you would like to pick up when placing your order. We love Spring here at Field of Dreams Farm because that’s when everything starts to turn green again and babies are being born! Here are some of our newest additions, including a new baby calf born yesterday! One of our heifers (Cinnamon) had her first baby! Welcome to Field of Dreams Farm little one….I think we’ll call you Sugar! Inventory Update: Thanks to everyone for their patience and understanding during this time of sold out products especially chicken! Good news, we will process our first batch of the year on May 1st!! And will have plenty of whole, cut up and parts available for the next delivery on May 2nd! Our famous Ready to eat Deli Ham is back! But only a limited quantity, so get it before it’s gone! Pork is Back on the Menu!! We have pork back in stock! You will find the following pork parts available on our order page: Pork Roasts, Smoked Bacon (uncured), Pork Chops (bone-in), Sausage and ground pork. 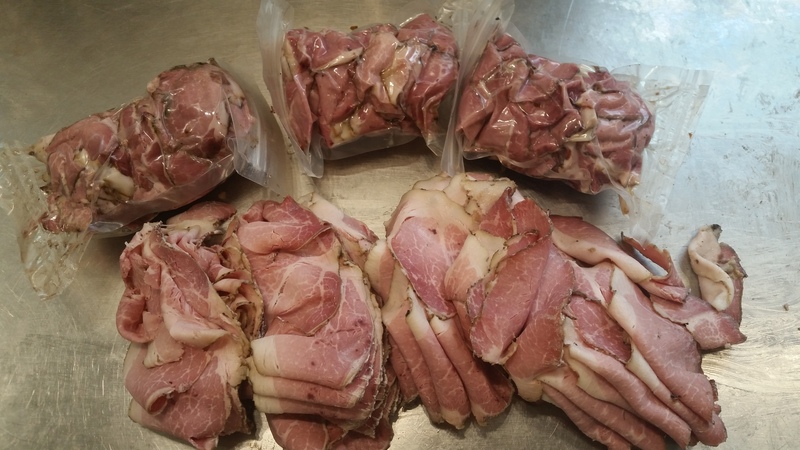 And coming soon….Ready to eat Deli Style Ham (cured and smoked)! Sign up and we'll keep you updated on product offerings, delivery schedules and reminders.